With its voluminous octangular foot, Pine can lend prominence and vigour to any room. 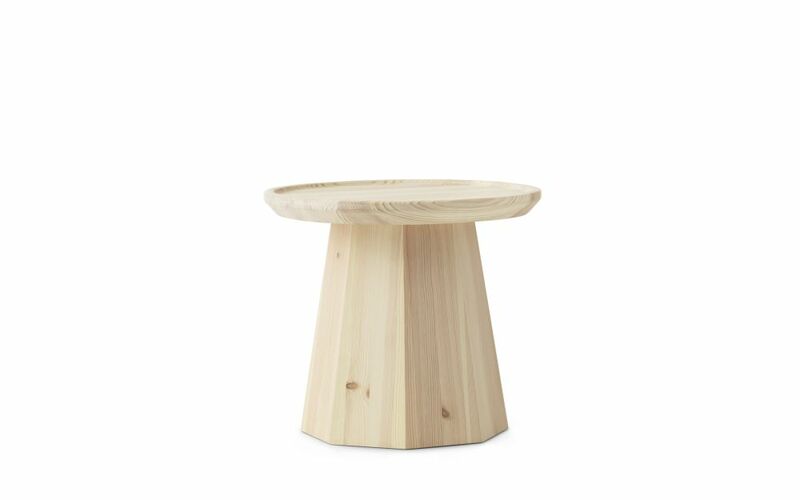 Pine is a collection of two small tables in pinewood. The combination of the sculptural octagonal foot and the light tabletop makes a characteristic design. Use the larger version as a coffee table or combine it with the smaller table that is elegantly tucked in underneath. All versions are finished with a protective matte varnish. Made of solid pine planks. The table is delivered assembled.